It’s no secret that turning ice cold traffic into warm leads and eventually red-hot sales is hard; it’s damned-hard! As much as 98% of users who visit your site won’t take the action you want them to, whether that be to read your blog and leave a comment, share something on social media, sign-up to your newsletter or make a purchase. That means, of all the time you spend setting things up on your website, creating engaging content and perfecting your sales funnel process, all in an effort to encourage users to take some sort of action, just 2% of people actually do the things you want them to. That’s got to be disheartening. 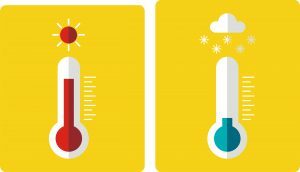 But fear not, because this article will give you some crucial insights into the ways you can target some of that sub-zero 98% and share some of the warmth around. The ones that got away may not stay away for very long, if you follow some of the guidelines and ideas laid out herein. While you may see some people using these terms interchangeably, it’s important to understand that there is a distinction between remarketing and retargeting and that one is not merely a synonym for the other (and vice-versa). Remarketing actually covers a whole host of things and you’ll likely encounter some remarketing tactics on a daily basis, whether you’re sat at your computer or not. Ever received a flyer from a company more than once? How about that “2-4-1 Tuesdays” sign you pass at your local watering hole every week? Or perhaps you entered a free prize draw and the company contacted you later on – not to tell you that you’d won, but that you’ve qualified for their special discount rate? You guessed it – they’re all forms of remarketing. Strategies set up so you, the individual, are exposed to the same company – and sometimes the very same offer – over and over again until finally, it hits home, and you find yourself sipping on your sixth beer on a random Tuesday evening. Retargeting is actually a subset of remarketing. 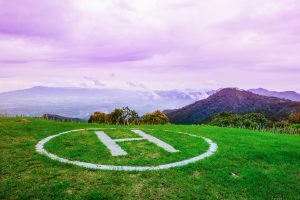 The strategies are similar, of course – the company has a system in place that delivers the same or similar messages and/or offers to you repeatedly. But with retargeting, we’re specifically focusing our efforts on those who have visited our website (or indeed, our competitor’s website – more on that later) but left before they took the action(s) we wanted them to. useful and entertaining, and once they’ve finished they… leave. Well, that’s not what you had in mind. After all, there’s a series of shiny, bright and beautiful social media sharing buttons that some of them might have clicked to let their social world know of your masterpiece. And there’s a lead capture form in the middle and at the end of your article that clearly states: “If you like this, why not sign-up so you can be alerted straight away when our new articles get published?” They liked it. Heck, some of them loved it! But not one of them signed-up. Well, ignoring the fact that that’s not a very enticing offer to get people to sign-up, it generally takes more than just the one article to get someone onto your mailing list. There’s actually a theory, known as the Rule of 7, that states a user will need to be presented with the company’s message/product/service at least seven times before they’ll take action – hence the reason that retargeting and remarketing in general should assume such an important part of your overall marketing efforts. It would have been nice if they’d decided to jump around your site a little bit and taken in some more of your killer content, seeing as they enjoyed the first one so much. So, what now? Are they lost to you forever? Or is there a way of alluring them back to the site so they can take the action you hoped they would? Of course, there is a way. There are several ways in fact. But the one we’re going to focus on today is Facebook Retargeting using something called the Facebook Pixel. In a nutshell, a pixel is a tracking cookie that you create inside Facebook (or inside Google, when using them for AdWords purposes) and then install the relevant code onto the various pages of your website. Even though it sounds ‘technical’, it’s not nearly as complicated as it may appear at first glance, and this one simple implementation will provide you with an abundance of opportunities to remarket to those who visited your site just once. What follows is our 5 favourite ways to employ this wonderful little tool, plus one bonus tip. And be sure to let us know your favourites in the comments below. If a visitor to your site leaves after viewing just one page – which is going to happen, it’s inevitable – you now have the power to retarget them when they open up their Facebook feed later that day (or even later that week/month, if you set up the pixel in that way). 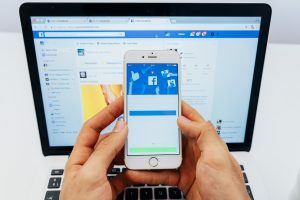 Given the fact that Facebook has 2.19 billion active users every month, it’s maybe not quite inevitable that your readers will browse Facebook after having been on your site, but it’s not far from it. And because you cannily had your Facebook pixel set-up, you now have the option to present a perfectly suited ad that appeals to them and sends them right back to your site, displayed seamlessly right there in their news feed. for example, then chances are they’ll be interested in something along the lines of optimal timing for protein intake too, right? So, they leave your site, but later that day they magically get presented an ad telling them all about your article “The Best Times to Consume Protein After Your Workout”, and lo and behold, they click the CTA on the ad, and there they are again, right back on your website reading more of your wonderful content. Lovely. And how does one do that, we hear you ask? Then, your ad which promotes your protein optimal timings article is being presented directly to the very same people who already read the heavy compound lifting one. Good news: people are arriving at your chosen landing page – the one that tells the user all about your new time tracking and productivity tool. Bad news: generally speaking, people read it, click around a bit, and then go about their merry way without completing the action you want them too. Dammit! Using the pixel, you can set up a Facebook custom audience so that your ads target those people. Once you have the pixel created, you’ll need to make sure that it’s added to the relevant pages. So, on your website TimeIsMoney.com you have a landing page called TimeIsMoney.com/TimeSavingMachine that tells the users all about the machine you have that apparently saves time. In order to track the people who go to that page but don’t follow through and make a purchase, you need to make sure the Facebook Pixel code is added to this page. And to make sure you don’t waste money targeting people who visited that page and then did make a purchase, you simply need to exclude all of those who completed the purchasing process. You’d do that by repeating steps 1. – 4. above, but this time, when you reach the “Exclude people who meet the following criteria” section, you’d need to add the URL that people reach once they’ve completed a purchase: /thank-you-for-your-purchase, for example. 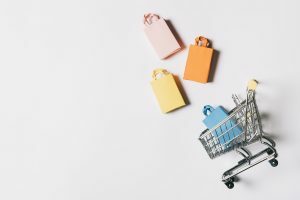 If you have a site that sells products rather than services, and several products at that, you may be familiar with the concept of shopping cart abandonment. For the uninitiated among us, this is the action some people inexplicably take when they browse around your eCommerce store, add items to the shopping cart and then leave your site without making a single purchase. Very frustrating. But, by following some of the same tactics and rules set-out above, you can start showing them customised ads to get them to come back to your site and complete a purchase. Have you ever wondered how it’s such a bizarre coincidence that, two days after you’d spent time bouncing around Amazon and even added a few things to the cart, suddenly one of those things has been reduced in price? Jeez, what are the odds! Well, not all that high, actually, since this is merely shopping cart retargeting at it’s finest. So, we regret to inform you, the universe didn’t conspire to provide you with that little nudge you needed to purchase that brand-new handbag. Some scheming little marketing guy did. Sorry. To achieve this level of inception yourself, simply retrace the steps laid out above, but make sure you include the URL associated with your check-out process (/check-out or /complete-check-out or whatever it may be), while simultaneously excluding those that reached the Thank You page, thereby avoiding the embarrassing scenario of offering a discount to someone who’s already bought the thing. Hooray! Somebody bought something. Oh, rejoice! But don’t rest on your laurels just yet. That’s because it’s far, far easier, not to mention cheaper, to turn an existing customer into a repeat customer than it is to turn a prospect into a first-time buyer. So, let’s take advantage of this by following some of the steps laid-out previously, but this time we’re looking to target all of those wonderful people who completed the purchase and arrived at the Thank You page. To do that, simply add your Thank You page URL to the “Include people who meet the following criteria” as outlined above. And even though it is easier to get these guys to convert, why not give them a little extra incentive by creating an ad specifically for them, offering a 10% discount to all customers who return to make a second purchase. Getting people to take action once they’re on your site is tricky enough. Getting them to firstly click through from your Facebook ad to your site, process the information on your landing page and then fill out the form with the correct relevant data is asking a lot in one website visit, even if it doesn’t seem like much. That’s why Facebook Lead Ads can be so successful. If you’re looking to obtain user information so you can send them offers or initiate a drip-sequence via email, you can eliminate the middle step of asking people to visit the landing page on your website entirely but getting them to complete the form right there on the Facebook ad. They simply click the CTA (“Learn More” for example) but instead of it taking them to your website, they’re presented with a seamless lead-capture form, right there in Facebook. Sending them away from the site they were browsing is sometimes risky, so this eliminates that entirely. Facebook will even pre-populate the fields with the data they have stored about that user, such as name, email address, phone number etc. The best way to utilise this functionality is to retarget people who’ve already interacted with your Facebook page in the past. Let’s say that they liked a post, made a comment or started following your page – all of that counts as an engagement inside Facebook, so you can be sure that you’re targeting users that are both active on Facebook and are also likely up-to-date on the new brands that pop up all the time. Then you select your own Facebook page as the retargeting effort and finally chose how specific you want to be in your targeting efforts, ranging from “Everyone who engaged with your Page” to something more generic like “Anyone who visited your Page”. After you’ve got the audience set-up, it’s time to head over to your Facebook Ads Manager where you this time need to select “Lead Generation” as your marketing objective, in order to create the kind of Lead Ad discussed above. OK, OK, strictly speaking, this isn’t retargeting as we’ve defined it above, since the people we’re focusing our attention on here may not have technically visited your site at all. But this is the bonus one, so we figured you’d cut us a little slack! Let’s imagine you own a showroom that sells made-to-measure suits. 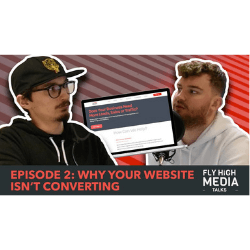 You’re new in the market, so you don’t have a lot of people visiting your website just yet and you’re struggling to get traction with your content. But buying and owning a suit isn’t a zero-sum game: most people will own more than one suit and it’s quite conceivable, even likely, that they’ll have purchased them from different stores. Also highly likely is that each suit will be of a different brand. So, how can we use this information to our advantage? Quite simply, we’d look to convert some customers who have shopped at one of our competitor’s stores by setting the audience to target people who have liked your competitor’s pages. Additionally, when coupling this with people who have a hankering for high-cost brand labels such as Hugo Boss, Ralph Lauren, Gucci etc., we’re likely to have an audience with a make-up which is exactly the type of people we’d want to target with our high-end, made-to-measure suits. And to throw in an extra dynamic, you can exclude all of those who’ve already visited your site, ensuring your ad targets new people all the time. Hopefully, by this point we’ve convinced you that retargeting is not only an incredibly powerful and influential marketing strategy, it’s a course of action that simply must be a part of your overall marketing efforts. People won’t be convinced by you at the very first glance. They prefer to take time to consider their options, and the more expensive your product or service is, the more time it’s likely to take them to reach that buying decision. Retargeting tactics and remarketing practices, in general, ensure that you stay in the forefront of your prospects mind when that crunch time does eventually arrive. 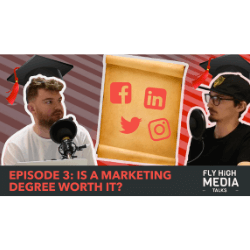 And furthermore, you can be sure that the people you’re targeting and dedicating your marketing budget towards have already shown some interest in your company, so you’re not shouting into the supermassive black hole that the internet can sometimes represent. Oh, and if you didn’t read it yet, make sure you don’t miss the Rule of 7 theory. If you’re not already convinced that remarketing is a good idea, you most certainly will be once you’ve learned about that. Did we miss any Facebook Retargeting strategies out? Has one of the ideas on our list proven successful for you in the past? Let us know in the comments below. Still a little unsure about remarketing? Book a free call with us and we will be glad to help you with your Facebook advertising.